Anyone have experience with adopting older cats (over 10-years-old) into an established household with cats/dog? Yes, a year and a half-ago, I adopted Molly who was a little over 10 years old. She had never lived with dogs. Now she lives with a senior male cat and two dogs who, while they have prey drive, know that they are to leave our "pack" cats alone. For the first week, I isolated her and the older cat in the front bedroom, where they had enough high spaces to sit on when the dogs were allowed to visit. She is aloof with the other animals, but comes to the door with the dogs when I get home from work, and she comes into bed with us. Believe it or not, i adopted out a rescue bengal who was 16. He did great, and the others pets in the family did great. I think they all ignored Him. Punkin was about 9 & was a feral who got trapped & sent to the shelter. It took a while[1 mo hiding in the basement] but now he is fine. King of the house actually. Every so often he will just reach out & swat 1 of the dogs for no apparent reason,but he puts up with Oreo[smaller & younger cat] chasing him & trying to play. In the eighties we took in an orange tomcat who stepped out of the forest and who was probably at least ten or over. We already had one cat, a neutered male of about the same age. After the early stage fireworks, they got along beautifully, even during the first few weeks before OrangeKitty was neutered. 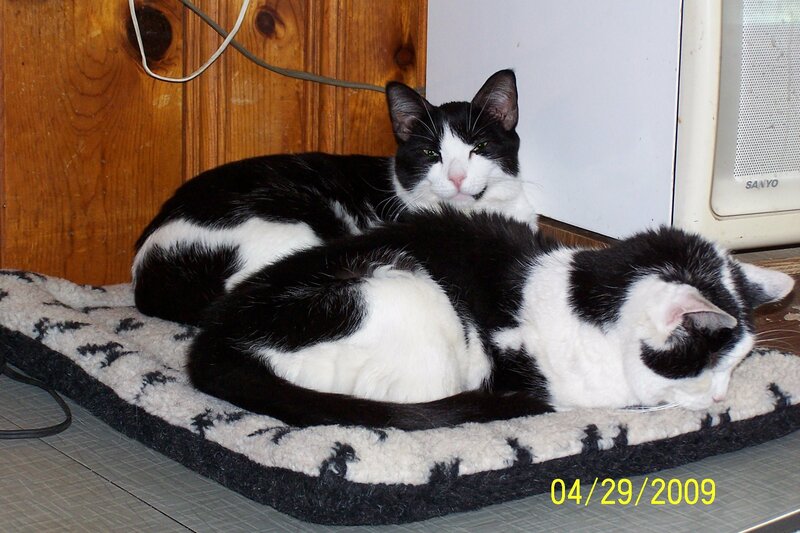 They were both very sociable, sweetheart cats who were friendly to all who came in. The orange boy must have been an abandoned pet who was used to people and maybe also other animals. All our cats have become sweeter and sweeter with age. I would adopt an older cat, for sure, when ever I'm again able to adopt. Thank you for posting all your experiences. We're usually bringing younger kitties into an established household, but we've never done the opposite, so I was wondering if this ever works out.